This picture shows the upturned hull of the cruiser Admiral Scheer at Kiel at the end of the Second World War. The Admiral Scheer was sunk by British 'Tallboy' bombs during a raid on 9 April 1945. 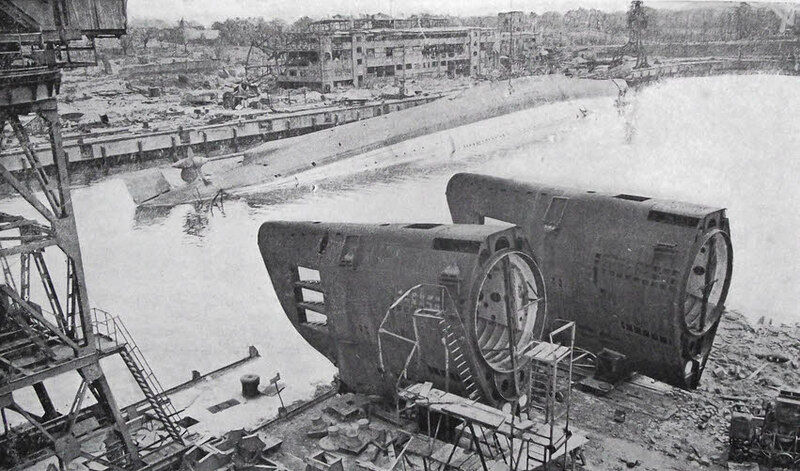 In the foreground are the bow sections of two U-boats that were under construction when the war ended.